Amongst the classified ads for berths. 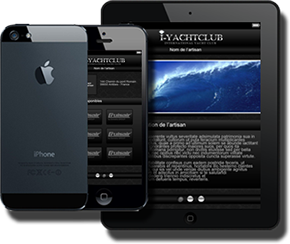 Find everything you need for yachting services in one single iPhone & Ipad app. Are you looking for a port ? A specialized technician ? A representative from a brand ? Searching for engines, air conditioning, electronic or electricity, you will find the closest service from the GPS position of your existing or upcoming boat. The worldwide database will help you wether you sail in Europe, US or anywhere in the world. Become a free member of i-YachtClub and take advantage of many great services !